See the 10 poets and 10 artists whose work will be highlighted inside rocks that light up in the dark at Frogtown Farm this summer! Please support SPA and the people who make it possible. Saint Paul Almanac is a literary-centered arts organization. We share stories across cultures and cultivate dialogue to promote understanding, relationships, and collaborative action. 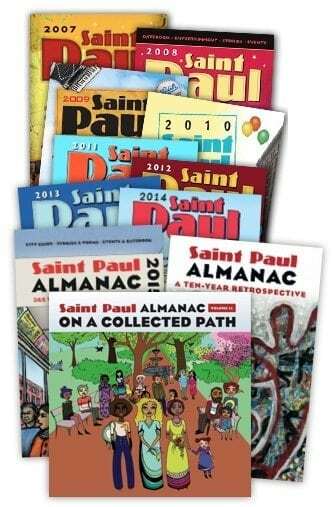 Saint Paul Almanac has brought dozens of projects to life and continues to search for new and innovative ways to promote storytelling within – and beyond – our community.